What do you need to prepare your home for sale? How will you go about marketing it? When can it be shown? Can you do this yourself, or should you get a Realtor? How will it be promoted and how much will I need to spend? What are the best sources for advertising? Should you do a home inspection before marketing? Safety is important. Who are you letting into your home? We are Weichert, Realtor agents and are here for your success. You can get 9% more for your property when listed with an agent. FSBOs accounted for 8% of home sales in 2011. The typical FSBO home sold for $150,000 compared to $215,000 for agent-assisted home sales. 98% of all FSBOs end up listing with an agent and within 60 days. 97% of all buyer will end up working with a buyer agent. That agent will be looking for homes on the MLS for their clients. 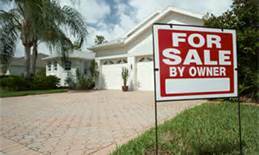 If you have to sell your home by short sale banks require it be listed with a full service agent. The bank will pay the commission to the agents at closing not the home owner. If you have your home listed on FSBO site you could have paid $500.00 for only 1 web site offering you limited exposure vs our exposure on over 80 plus web sites. Our advanced web marketing. If you have any questions our team members only a phone call away. Our Result Driven Marketing gets results. For a free market valuation of your home CLICK HERE. We look forward to talking to you soon.